Wall of the Monastery of St. Catherine. At Ras Mohammed National Park. About twenty million years ago, Egypt , Sinai and the Arab peninsula were a united block. Then huge terrestrial devastation led to the separation of the lands and the southern Sinai peninsula remained isolated, giving rise to two large gulfs: the Gulf of Suez, which maximum depth is barely 95 meters and Gulf of Aqaba to the east, which instead reaches a depth of 1800 meters. Sinai is a meeting point of continents and acting like a bridge between seas. The total area of Sinai is 24000 square miles and thus represents 6% from the total area of Egypt. The great seismic activity of the past and the tremendous eruptive phenomena has given Sinai its characteristic imprint. Mountains here are not that high but very much important to the history. The most important peaks are the Moses' mountain 2285 meters and St. Catherine mountain - 2642 meters, the highest in Egypt. The west coast that stretches from Sharm-el-Sheikh to Ras Mohamed goes as far as Taba. Sinai Peninsula is especially beautiful with its landscapes, marked by mountains, plains, valleys and beautiful beaches, while the sea offers coral reefs, unique kinds of fish and fascinating nature. Five places on South Sinai were declared to be a protected area, they are: Abu Galum, Nabq bay, Ras Mohamed National park, Saint Catherine and Taba. The oldest one is Ras Mohammed, declared a protectorate in 1983. And one more protectorate on North Sinai called Zaranik. 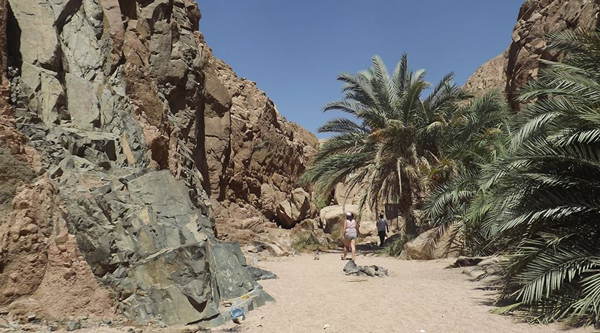 Abu Galum is one of south Sinai’s most picturesque protected areas in Egypt. Its spectacular granite mountains ending abruptly on a narrow coastal plain, fronted by rich coral reefs makes it a worthwhile visit. Abu Galum reserve houses 167 plant species, 44 of which are seen only in this area. Abu Galum protected area is 88 km sq up the coast, just past the city of Dahab, is the smallest of the South Sinai protectorates. It has hiking trails going through the rocky desert hills and gravel beaches leading to rarely visited coral outcrops. 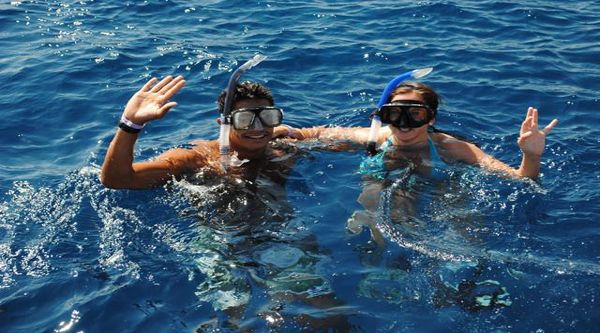 Dahab, part of the protectorate, has its share of renowned dive sites like Blue Hole and The Canyon. 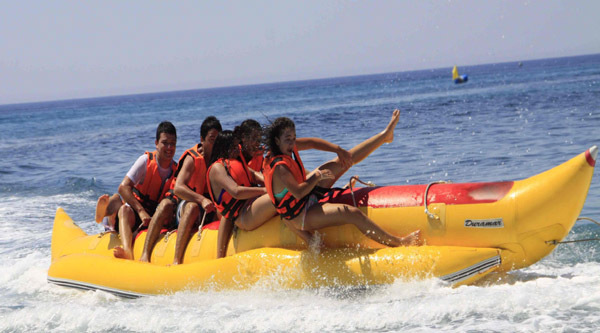 Nabq Protectorate is situated at the end of Sharm el Sheikh city along the Gulf of Aqaba and is the largest costal park in the area. It was announced a protectorate in 1992. The park is 600 square meters of outstanding natural beauty sheltering a variety of ecosystems. The protected area is characterized by a number of important environmental systems like coral reefs, marine habitats (sea grass beds) and land creatures, large dense mangrove woods. It includes environmental systems of desert, mountain and valleys, and animals like deer, mountain goat, hyena, reptiles and a lot of migrating and resident birds beside invertebrates. Nabq protectorate contains 134 plant species, 6 of which are found only in Nabq, and the largest single stands of Arak bushes in the Middle East. Ras Mohammed National Park lies just 25 km far from Sharm el Sheikh and can be easily visited on daily trips either by boat or by land. The St Catherine's protectorate covers an area of 5,750 square kilometers, or 20 percent of South Sinai. 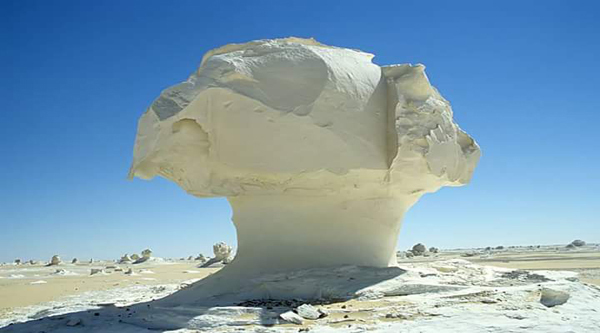 It contains Egypt 's highest mountain: St Catherine with the height of 2,624 m, as well as Mount Sinai -- held sacred as the place where Moses received the Ten Commandments. And other mountains as Serbal mountain, Mount Um Shomer and Mount Tarbush. Forty five percent of all the plants in Egypt are found in Sinai: of these 320 species 19 are unique to Sinai (including a native primrose) and more than 100 have a medicinal use. Wild life of Sinai peninsula is really rich in variety: 46 reptile species, 15 of which are found nowhere else in Egypt , among them two species of snake; Sinai banded snake and the Innes cobra, which are found only in the National Park. There are 150 species of migrating birds, including about 40 raptor species. Sinai is also home to the smallest butterfly in the world, the Sinai Baton Blue, half the size of a fingernail and confined for eternity to the top of one mountain since it cannot live below a certain altitude, and its tiny wings cannot carry it as far as the next peak. There are 13 canyons in Egypt and all on Sinai. The most popular among tourists are Coloured canyon and White canyon. Al-Arda canyon, or the double canyon is now a popular attraction. It lies 90km away from Dahab. The name Arda refers to a plant there, the only place in Sinai where it can be found. The plant changes colour during the summer into blue, sometimes grey, and is known amongst the Bedouins as a herbal medicine that cures asthma. Al-Hododa is the biggest and tallest sand dune on Sinai. The name Al-Hododa came from the root word, to tear down. The sand is very soft, and the wind is very active in this area. So the dune changes frequently from one place to another according to wind speed. The sand comes down during this process. That's where the name came from. Al-Hododa is 33 km away from Dahab by GPS. There are many oases as well, one as Ain Umm Ahmed oasis never lacks water: a replenishing spring flows from a narrow creek between two mountains. Each household has its own pump to draw ground water for use in cooking and irrigation and for drinking and bathing.